Please note a few of the images from this section are borrowed from the Mac version of the tutorial. The only major difference in them is the style of title bar, so please do not be alarmed if your screens look slightly different. See http://developer.android.com/sdk/requirements.html for detailed information. Note: You can download and install the packages from Google, but the SDK downloader tool is a little buggy and can cause a few issues, as a result, all packages are prepackaged here. You must still accept their licenses to be used. Another Note: You can use the windows installer as well, but you need to make some correction, as explain on the troubleshooting section on the bottom of this page, to use the Java SDK 64bit on a 64bit OS. 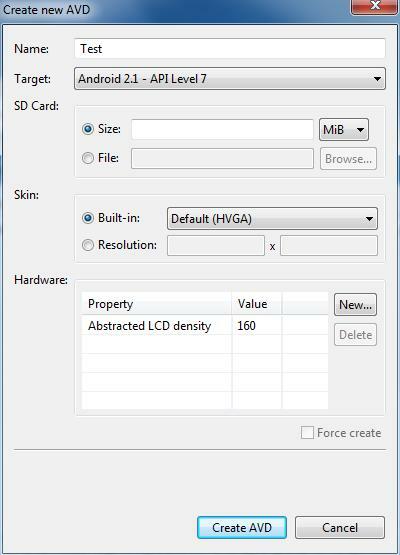 Inside of the android-sdk-windows folder, there is another folder called android, and inside there is a program called “SDK Setup.exe”. Run “SDK Setup.exe”. Congratulations! 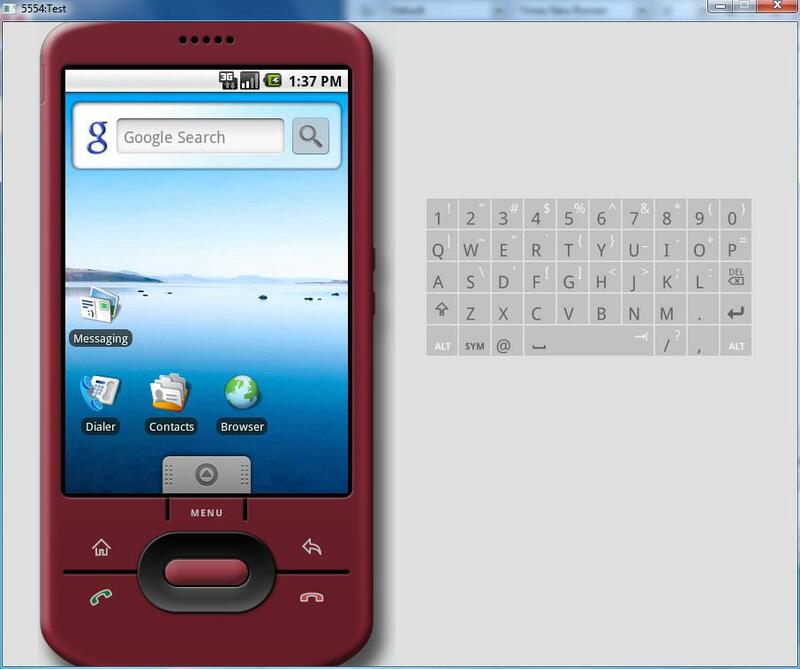 You are now emulating an Android phone. You may now exit the emulator and the SDK Setup. Sometimes Windows thinks that the SDK Setup application is a full on installer, often times, it will ask if the installer completed successfully, in this case, you can select that it did as you will not normally be running this program again. Select Help, Then click on Install new software. 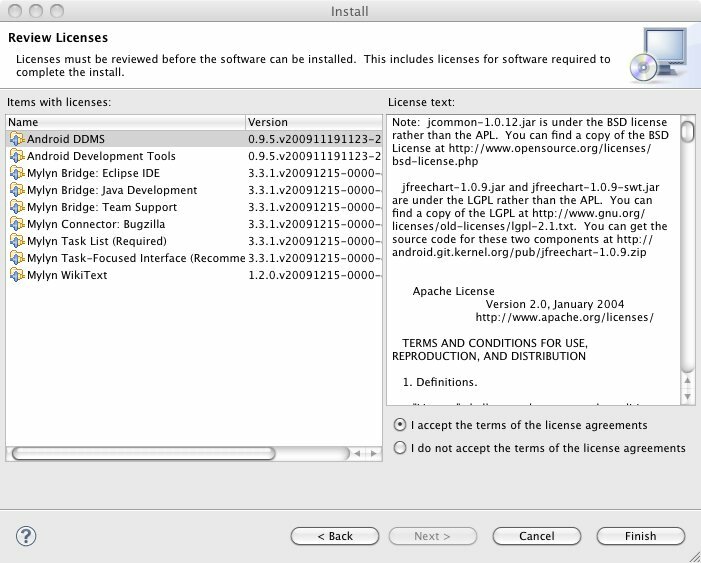 Eclipse will then show a pending status as it downloads package information. 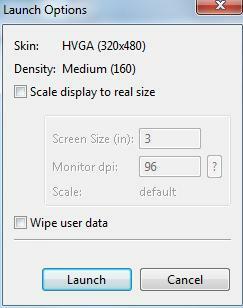 Select the check box next to Developer Tools and click next. 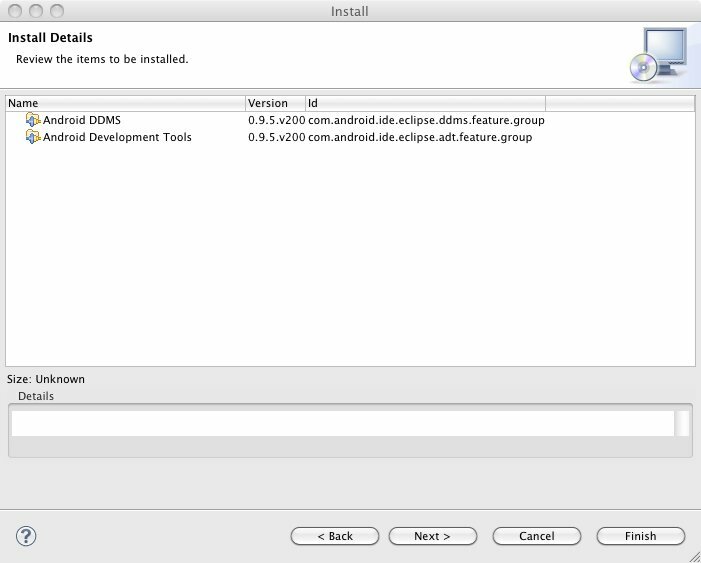 Eclipse will download and install the packages. 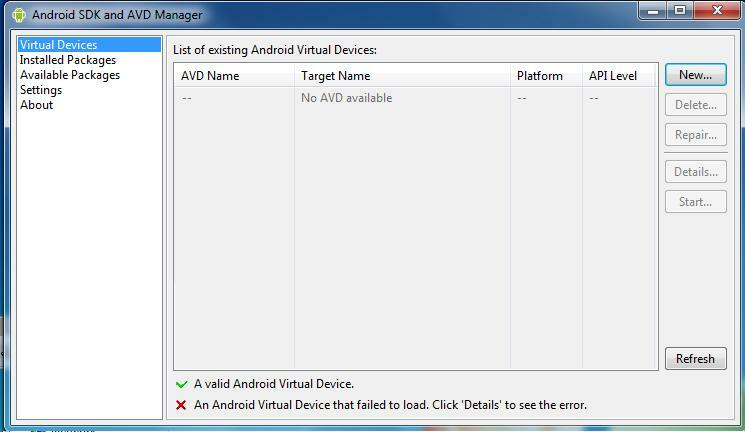 The ADT Plugin is unsigned, if you receive this message, click OK to continue. 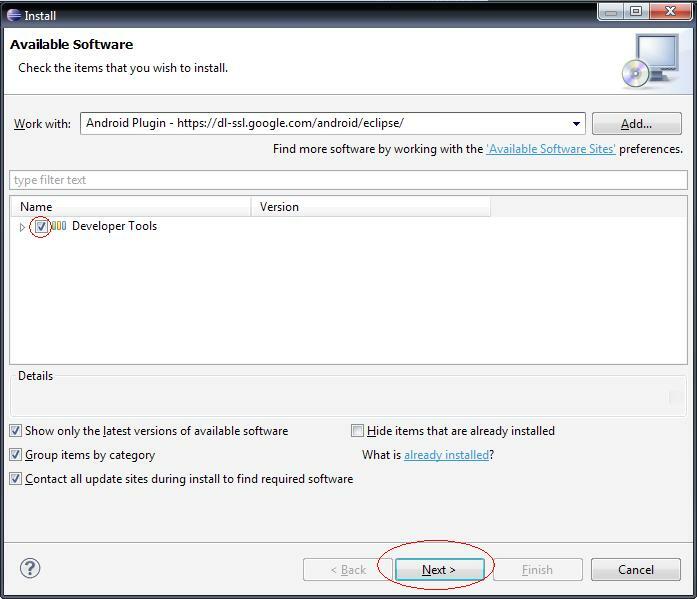 Select Android on the left hand side of the tree, on the right, click on browse to find the folder where we extracted the SDK earlier, in this case, “ D:\android-sdk-windows”, then click on OK. Note: In order to use the SDK you must agree to the Licenses that it comes with, each component has several licenses that need to be accepted to be used and you may be presented with them throughout various stages of the installation. Also, the list of Targets will not appear until after you click OK or apply for the first time. You want to use Java SDK 64bit? 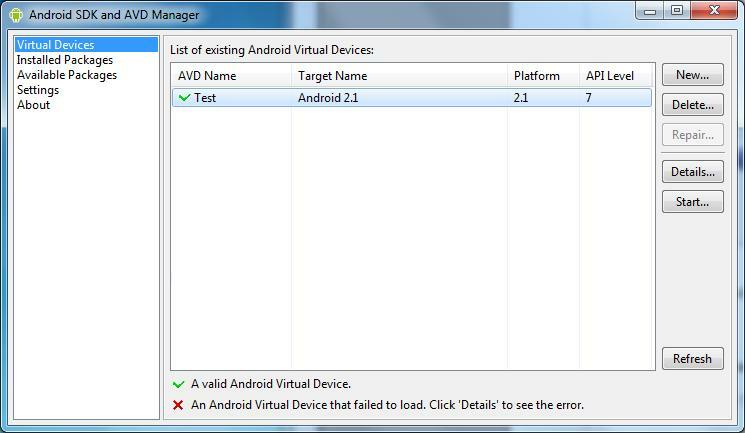 But Android SDK installer can't find it? There is a simple fix explain at http://stackoverflow.com/questions/4394584/android-sdk-install-problem. Basically you need to manually add some entries to the registry.